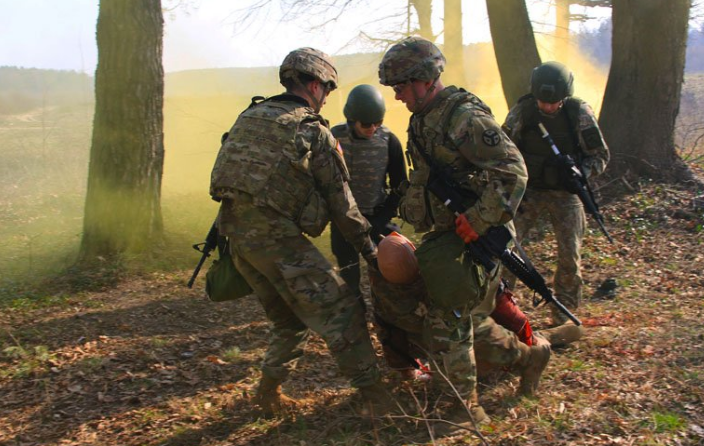 Ukraine’s Ministry of Defense reported at 12:30 PM Kyiv time that on April 11, one service members of the Ukrainian Armed Forces was killed in action and eight service members were wounded in action. In the last 24 hours, Russian-terrorist forces opened fire 20 times on Ukrainian positions in the Donetsk and Luhansk sectors using heavy weapons four times. According to the Ukrainian military intelligence report nine invaders were killed and eight were wounded as a result of returning fire by the Ukrainian Armed Forces on April 11. 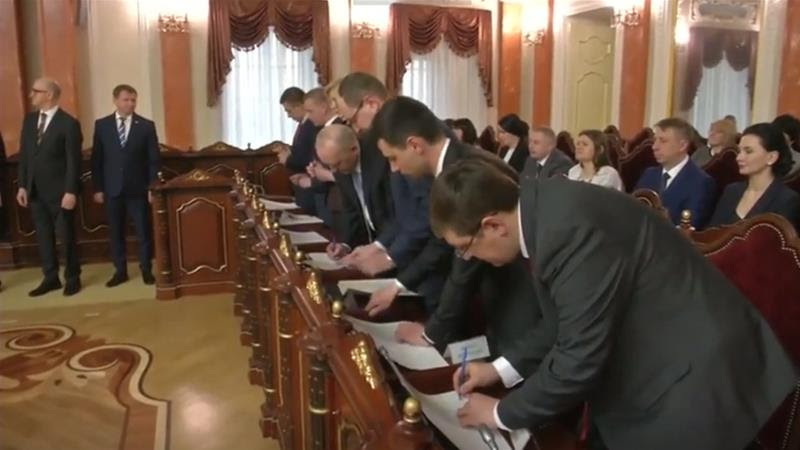 Ukraine has launched of a special anti-corruption court which is aimed at supplementing the efforts of the National Anti-Corruption Bureau of Ukraine, the state body investigating corruption cases, and the Specialised Anti-Corruption Prosecutor’s Office. “The anti-corruption court is being set up as part of Ukraine’s $3.9bn loan programme with the IMF, with the intention of rooting out entrenched corruption and insulating court decisions from political pressure or bribery,” as reported by Aljazeera news agency. The anti-corruption court will employ 38 new judges who have been granted independence from the legislative and executive branches as well as from the president. Canada is alarmed by Russia’s rejection to add a class of chemical weapons called Novichok to the list of chemicals banned by the Organisation for the Prohibition of Chemical Weapons (OPCW) as reported by the Global Affairs Canada (GAC). On January 14, the international community has agreed that such weapons should be banned. 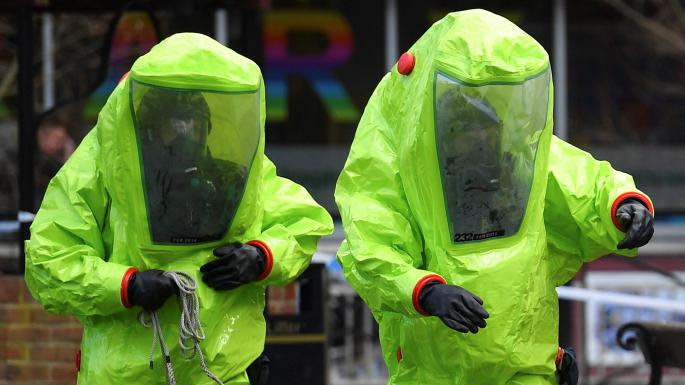 Suffice it to say that “Novichoks were used in the attack against Sergei and Yulia Skripal in Salisbury, United Kingdom, in March 2018, and responsible for the death of Dawn Sturgess in Amesbury, United Kingdom, in July 2018,” reads the GAC statement. “In 1997, the world came together and agreed that chemical weapons must not only be banned but eliminated. That is what the OPCW seeks to accomplish. Its work is essential, and that is why Canada, the top donor after the US, announced last week $2 million in additional funding to the organization. We, and our partners, will continue to support the work of the OPCW and hold Russia accountable for its reprehensible use of illegal chemical weapons,” as noted at the GAC website. 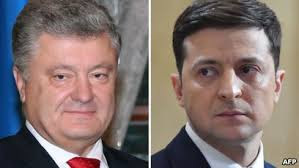 President of Ukraine Petro Poroshenko and the current leader of Ukraine’s presidential race Volodymyr Zelensky are in Western Europe to meet with key leaders ahead of the country’s April 21 runoff vote. 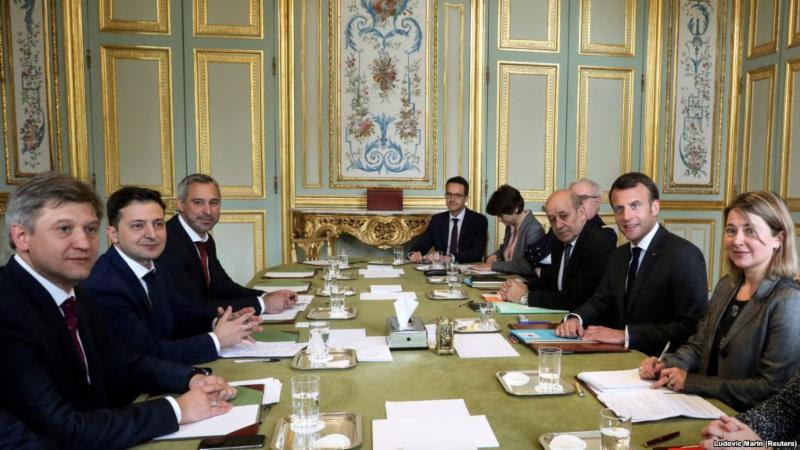 Germany, France, and Ukraine are part of the so-called “Normandy format” of countries seeking a resolution to the war in eastern Ukraine, where Russian invaders are fighting against Ukrainian Armed Forces. Russia is the fourth country in the format, which has not held talks in two years. Greeting to the Directory of the Ukrainian National Republic from officials of the Ministry of Education and Art. Design by Heorhiy Narbut_ 1918. Collection of the Patriarch Mstyslav Museum at the Ukrainian History and Education Center. The Ukrainian Museum in New York has opened “Full Circle: Ukraine’s Struggle for Independence 100 Years Ago, 1917-1921” exhibition. 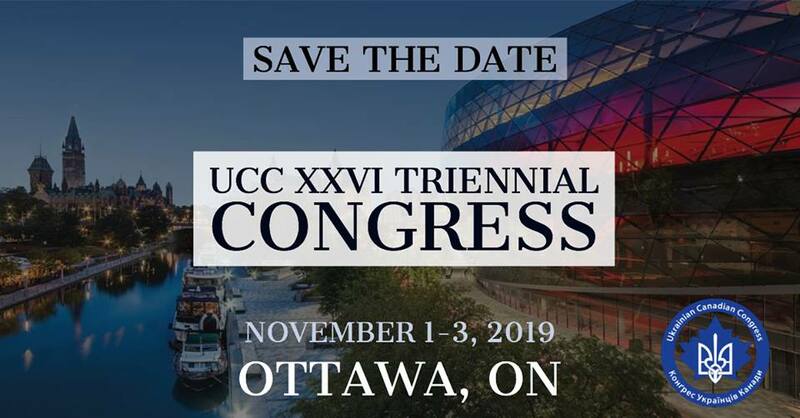 It “commemorates the 100th anniversary of one of the most dramatic and fateful periods in Ukrainian history – the struggle for independence from 1917 to 1921 – and traces the creation of the modern state of Ukraine on ethnic Ukrainian territories,” as reported by the Ukrainian Weekly. 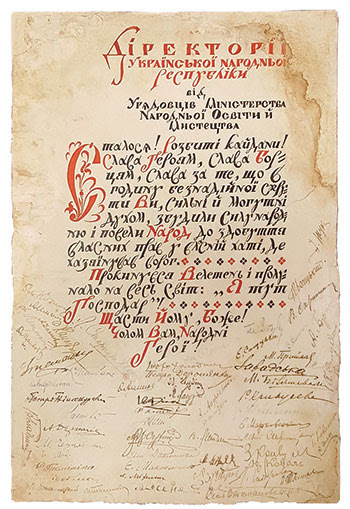 The Ukrainian Museum, the Museum of Kyiv History, and the Sheremetiev Museum (Kyiv) are the organizers of the exhibition that includes artifacts from 26 museums, archives, libraries, institutions of learning, and private collectors in Ukraine, Bulgaria, Switzerland, and the United States. 6. 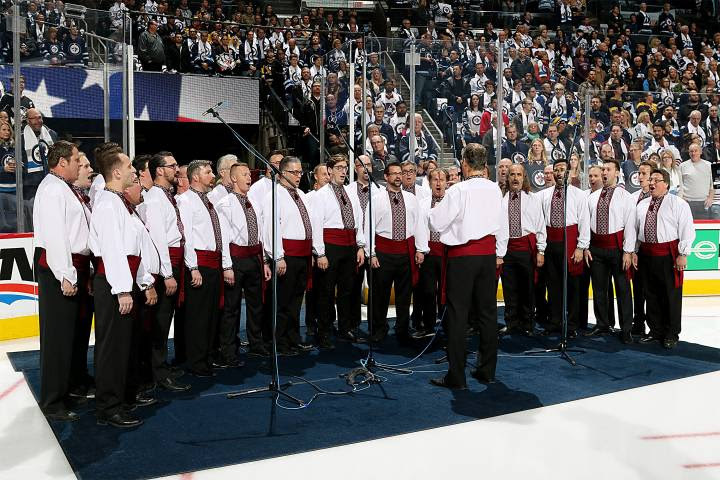 Will Hoosli Ukrainian Men’s Choir prove lucky for the Winnipeg Jets? Winnipeg’s Hoosli Ukrainian Male Chorus return to the ice to sing the anthems at tonight’s game reports by Global News. Apparently, when the popular choir sings the anthems, the Winnipeg Jets win the game. The news comes ahead of Game 2 against the St. Louis Blues on Friday. Hoosli has sung the anthems at five games over the past three seasons and each time the Jets have won. Not only has the team won, they’ve outscored their opponents 30-11, including 15-1 in the first period, reports Global News.